I just got wind of a new development in Victoria BC from Abstract Developments that got the green light by the City of Victoria. Bellewood Park at 1201 Fort Street is just up from antique row, close to shopping and great schools. I love that Cook St is right there and you will barely need a car to get most of what you need. This new development will be close to it all but just enough outside of downtown and the views from here will be fantastic. There’s not a whole lot of detail at the moment but we’ll run down what we do know. 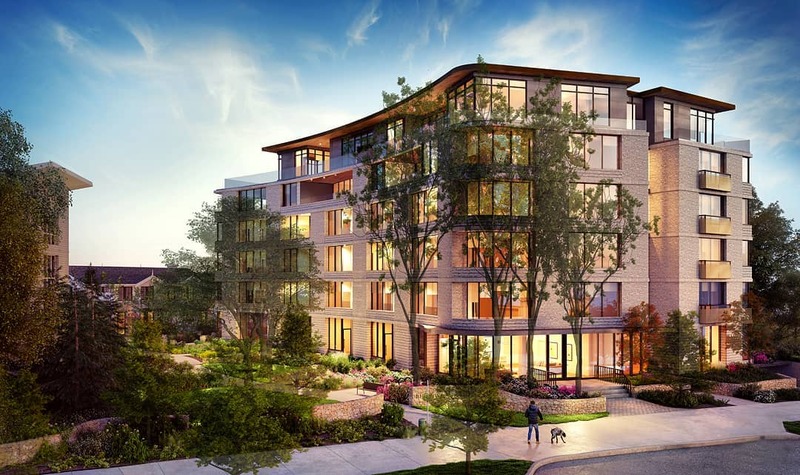 Bellewood Park will be o­ffering one, two and three premium bedroom residences, including lavish penthouses and gorgeous townhomes. There will be a total of 83 homes in here which is what this city needs and you can now register to get more information and follow this development.